UPDATE: The buyback has ended. You can see more details here. 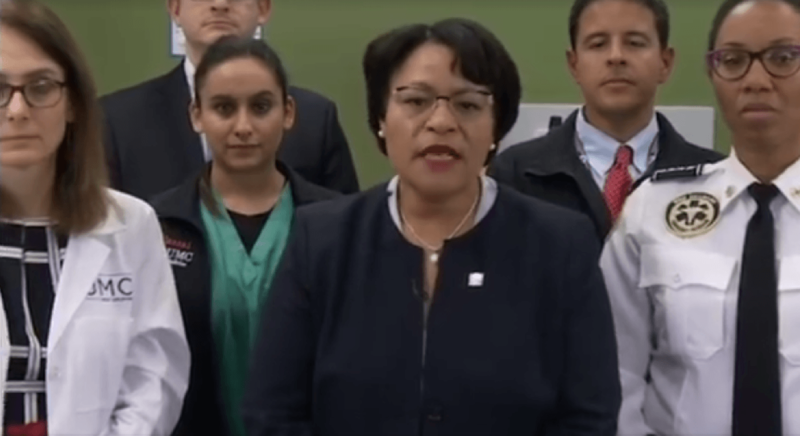 On Saturday, Jan. 12, Mayor LaToya Cantrell announced that she will be holding a gun buyback day next week, on Saturday, Jan. 19th. The event will be held at New Hope Baptist Church from 11 a.m. to 2 p.m. Residents who need one can also receive a gun lock for safety and storage. What will be done with the guns? I remember a few years back they found them on the streets in other cities. We have reached out to the Mayor’s office for comment, but have yet to hear back. Is it $500 per weapon or $500 for total amount ? Is it $500 per weapon or $500 total for all weapons brought? Is this only for residents of New Orleans ? Is it only Orleans parish residents. Do you need to be a resident of Orleans parish? Or can it be surrounding parishes? If you bring multiple firearms is it $500 per firearm and if so is there a limit on how many one person can bring? Is there a limit on the number of firearms. If I show up with a wheelbarrow full, am I golden? Have you heard anything since? Turn in a firearm (in working condition) and receive $500 cash. Orleans Parish residents only. Must show proof of residency. Saturday, January 19th, 11am – 2pm Gun locks will be available for safety. I thought it was no questions asked. Wanting to know where I live sounds like a question to me. Bring in your junk and go buy a nice Gun . More information clarifying restrictions on the buyback is forthcoming. Is that the New Hope Baptist Church in New Orleans ? Buy cheap guns and turn them in for profit. This is a stupid idea. Can’t fix the streets or the SW&B but let’s give a bunch of criminals some cash for their drugs. – a resident of East Baton Rouge Parish can participate in this. No questions asked, right? So how will they know where I live. – I can turn in multiple weapons? $500 each, correct? I also need a listing of all pawn shops between BR and NO that I can visit on my way down there if the two questions above are answered satisfactorily. Why do they need to Google the pawn shops for you? Great program for the criminals of the city. They can bring in their old junk guns and go buy some nice machine guns. This city is a joke..
Can out of state folks participate? Great way for the local criminals to upgrade their weapons… way to go LaToya and friends! Orleans Parish residents ONLY may turn in any working firearm and receive $500 cash, no questions asked. ID’s will not be checked, but sellers must show proof of residency. You may turn in as many guns as you like, but only $500 MAX will be given per resident. Guns MUST be in a bag. DO NOT bring exposed weapons. The event will take place from 11 A.M. to 2 P.M. at New Hope Baptist Church, 1807 Reverend John Raphael Jr. Way. Gun locks will be available for safety. Seems like they better have a heavy Police presence to protect the people walking away with $500 cash in their pockets to their cars or and awful lot of people may be hurt. Way too many predators lying in wait for easy money in the whole New Orleans and surrounding areas lately. Been here 58yrs and watched it go down hill every year with criminals! Such a shame for such a beautiful city. How do you show proof of residency without officials knowing who you are? This is the dumbest thing I’ve seen Ina long time. Is this just for new Orleans,residents. they should be giving $5000 to every new orleanian regardless of race or gender to be sterilized. that would eliminate much of the crime problem in this city.